The finished product - basketweave pattern in cherry and oak. Install complete and ready for the first coat. This beautiful oak floor was hidden under layers of carpet. Refinished by Labrador Floors and Tile. Same wood floor as above, installed and finished by Labrador, along with the slate entry tiles. Sand and refinish of old fir floor, with cherry inlay design. Walnut stained prefinished wood floor installed by Labrador Floors and Tile. Cherry floors installed over radiant heat, with Kerlite countertops (creating a concrete look for an affordable price) with a tumbled marble backsplash. Installationa and finish of new hardwood floor by Labrador Floors and Tile. 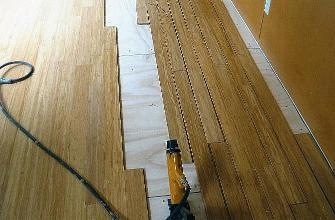 Synergy bamboo floors, installed by Labrador Floors and Tile. Countertop tile and backsplashes installed by Labrador Floors and Tile. 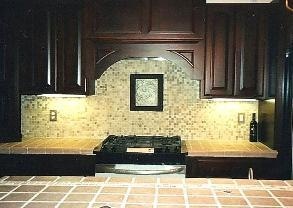 Sending your backsplash high up the wall behind the stove makes for a stunning visual. 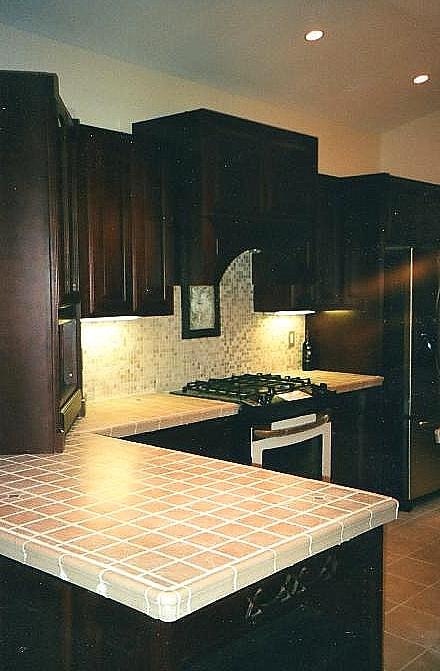 Alternate view of the tile countertops with bullnosed edges and the high backsplash. Kitchen countertop and a high backsplash by Labrador Floors and Tile. Kitchen countertop and backsplash by Labrador Floors and Tile. 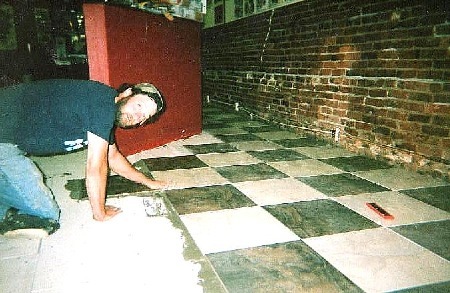 Installation of a large tile checker - board pattern at Old School Tattoo, downtown Bellingham. A 'little helper' for the tile installation in this walk in shower. Floor tiles are tumbled marble, with a custom backsplash. Walk in shower with a custom double backspash design - high and low. Alcove and floor are tumbled marble. Ceramic tile on the walls. Walk in shower with bench, alcove and backspash design by Labrador Floors and Tile. 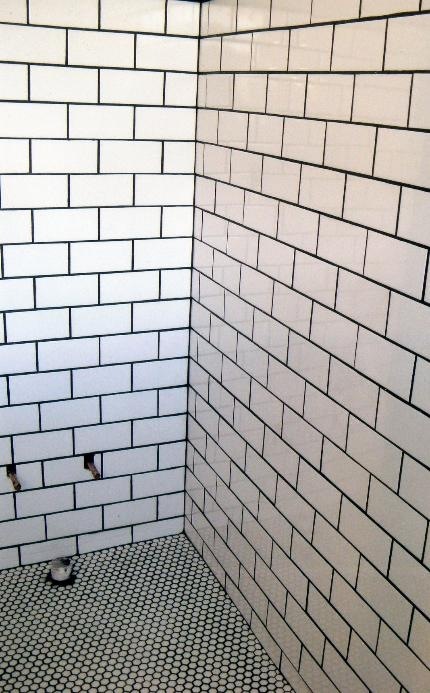 Black and white walk in shower - subway tile walls with hexagon pattern on floor. 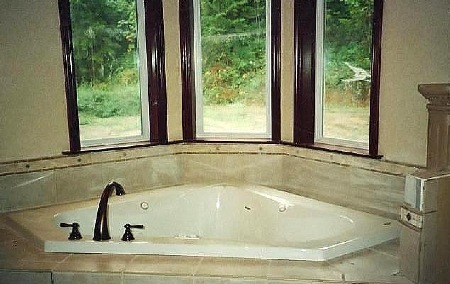 Tiled Jacuzzi surround with custom backsplash. in process. 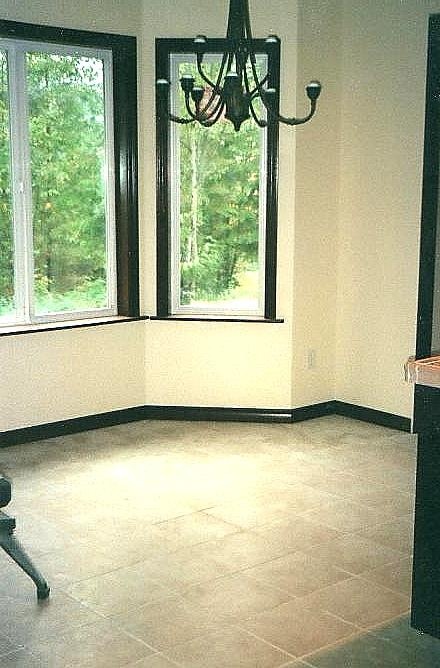 Tile surround and custom pattern installed by Labrador Floors and Tile. Fireplace 'brick' tiles, floor tile and wood floor installed by Labrador Floors and Tile. 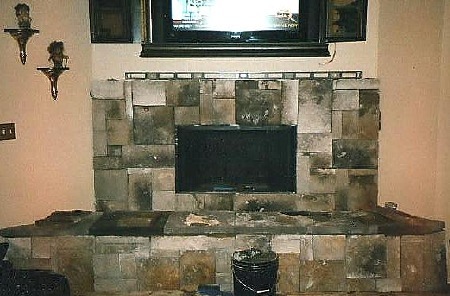 Slate fireplace surround by Labrador Floors and Tile. Cultured stone fireplace surround in process by Labrador Floors and Tile. Large VCT pattern installed by Labrador floors & tile. Rock climbing wall flooring system installed by Labrador Floors and Tile. Consists of 3 layers of foam topped with canvas tarp material. Close up of rock wall floor system installed by Labrador Floors and Tile.